Over the past few months, I’ve been busily collecting odds and ends, bits and pieces, and varied vintage treasures in the hopes of creating the perfect retro nursery for my little girl. I absolutely LOVE the 50’s and 60’s (I swear I was born in the wrong century), and knew I wanted a room straight out of the past. 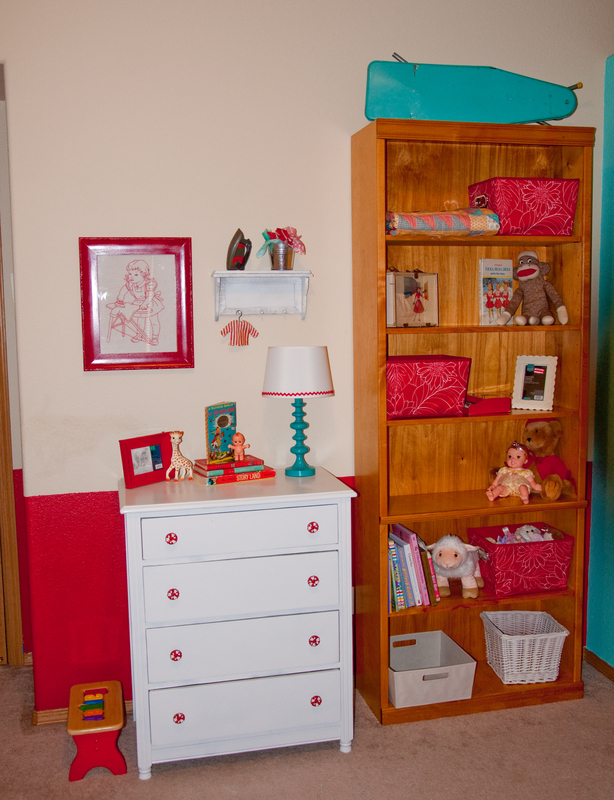 I absolutely adore all things vintage, and chose the colors red and turquoise to create my little retro nursery. 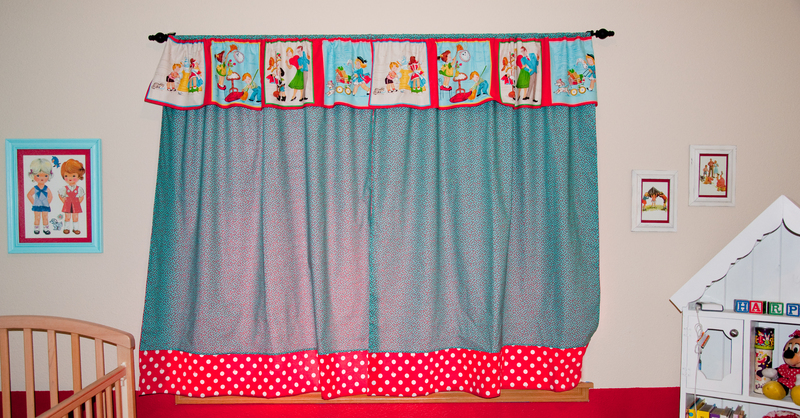 Check out Harper’s curtains! 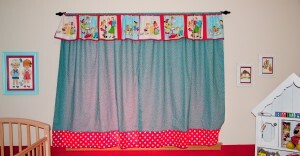 My mom created a simple ruffled window-length curtain, with attached valance. She is a sewing genius. These are cute, fit with my theme,and are definitely one of a kind! I had TONS of fun finding cute accessories! I love this wall hanging I found at a local antique store! I also like showing off some of the special blankets people have made for Harper. 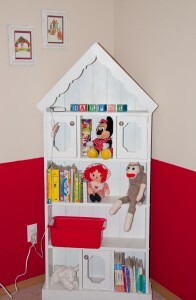 I don’t think a room I created would be complete without a bookcase (or in this case, TWO!) I wanted my kids to have room to grow with their library, and like having a place to show off some of my vintage and repro treasures! I LOVE the way this dresser turned out!! 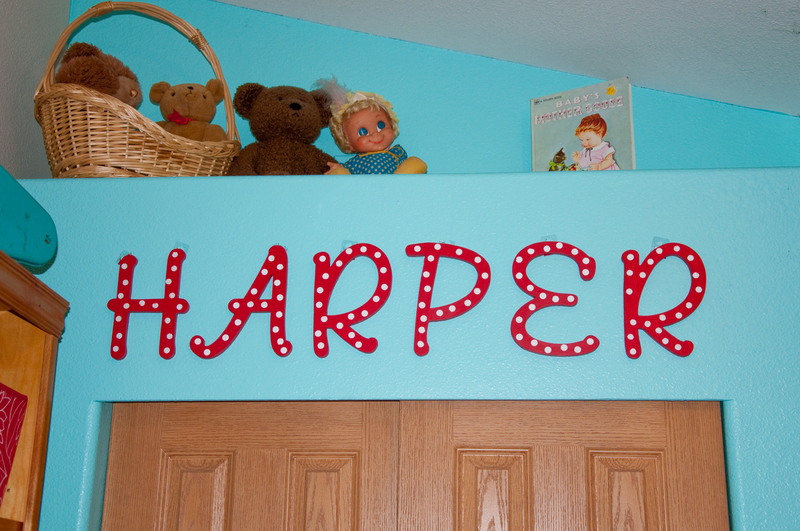 I found some plain white letters at the craft store, and painted them to match the room! If YOU can’t sew, see if you can find a friend or family member who can. Having someone create one of a kind pieces for your nursery will help make it extra special (and will allow you to break free from the limited selection at the chain stores!) Trade services if you can’t afford to have things custom sewn. 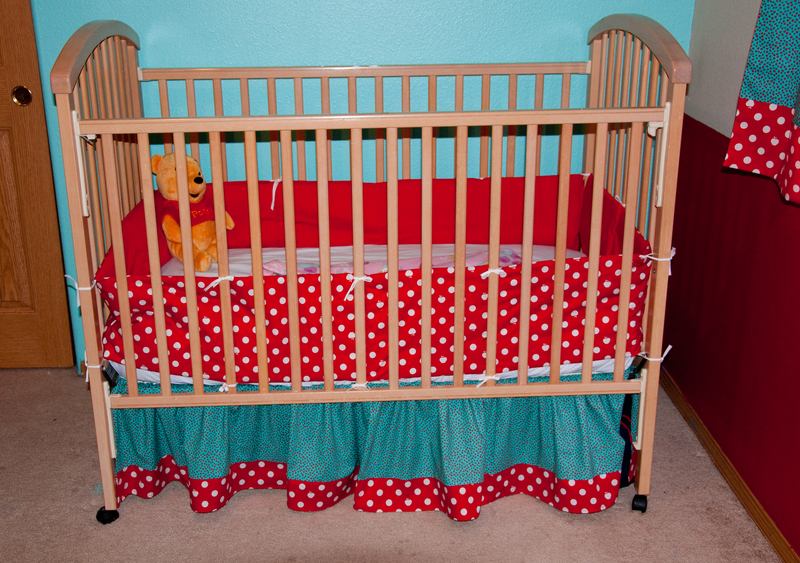 Seek out pieces not found in the “baby aisles.” Lamps, picture frames, books….ANYTHING can be used to create an extra-special nursery! 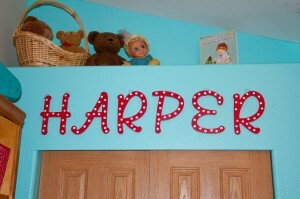 Use paint to change up picture frames, lettering, and the wall. Don’t be afraid of COLOR! 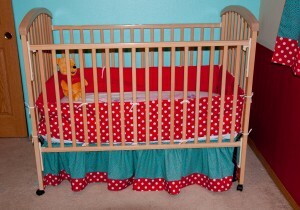 (It’s a room for a CHILD…it’s supposed to be fun!) 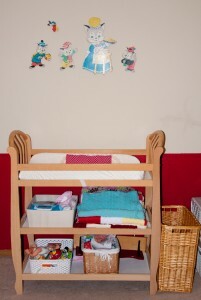 Have fun creating a unique space for your child! Break away from the three or four choices available at the store, and get busy creating a one-of-a-kind room! *This post was sponsored by Tesco. I received compensation for this post. All words, opinions and ideas are my own.